Welcome to Custom Elite Interiors where your imagination is our specialty. Please review our services and check out our photos, where samples of our craftmanship are available. Call or email us for more information on how we can best serve your needs. Offering complete Interior restorations or Upholstery on any form of transportation. While we specialize in Airplanes, we are also known for custom designed Motorcycle seats and cover everything in between. Whether you fly, ride or drive it, off road or on, our services are available for you. 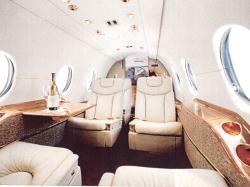 We provide complete custom interiors for all experimental planes, using materials of your choosing. All of our interiors are completely removable, including the headliner panels, making it easier to perform maintenance and easier to clean. Please check out our photo section for examples of our work with Lancair airplanes. WE OFFER MOBILE SERVICE ! We will be happy to come to your hanger, remove the interior and return when complete to install. This allows you to keep the plane, making it available to you at all times. Going in for paint or avionics? We can work the interior while it is in the shop.